Almost every night at this time of the year, my single-glazed windows invite the warm-air molecules to stay awhile as the temperature outside begins to plummet. In short, this leads to condensation. 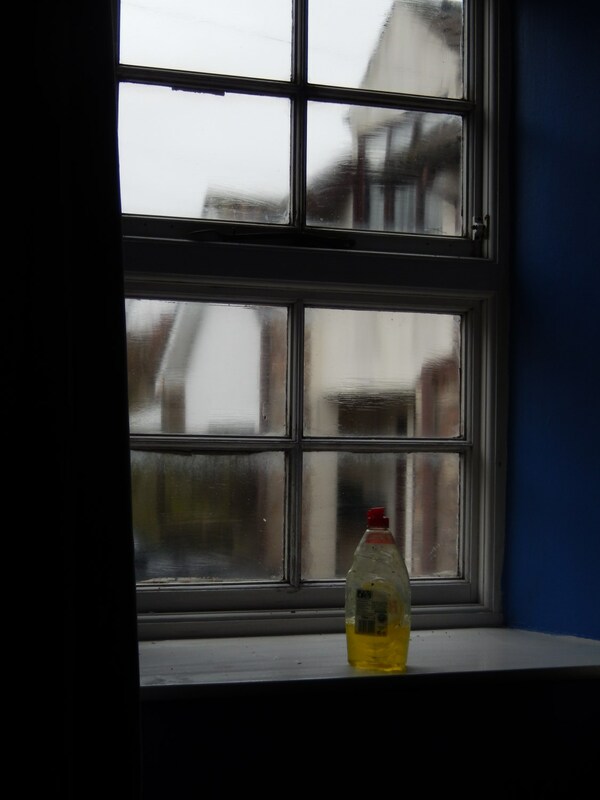 With wooden windows (particularly those of which are neglected from regular maintenance), condensation can lead to a case of wet rot as this water runs down the glass and is absorbed by the horizontal surfaces. Regular maintenance (painting, putty, etc.) 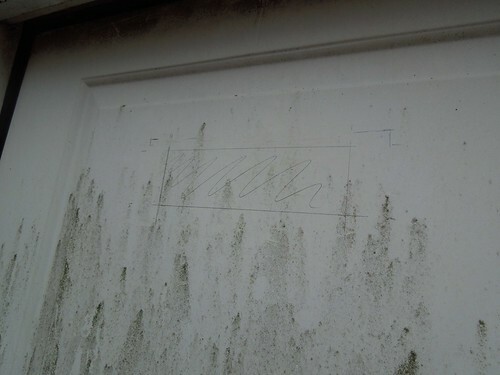 can prevent this but it won’t stop the condensation from forming. 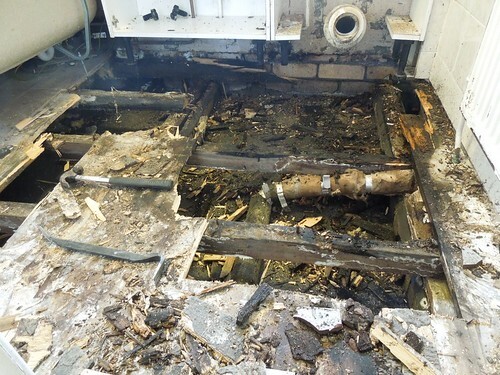 A common symptom of dampness and insufficient ventilation, particularly during the winter months. 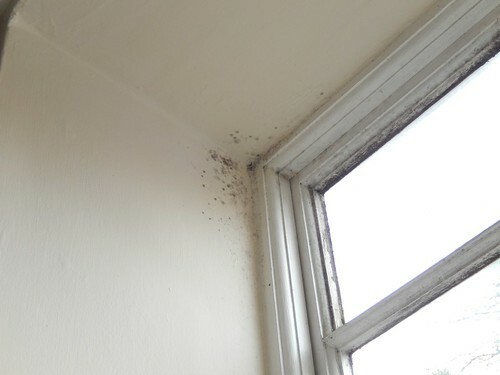 If you’re already aware of black spots or damp patches on your walls and ceilings then you know your home is ‘infected’. But there is a cure. In fact, by browsing the internet you can uncover a range of home-made and personal solutions. What’s most important though, is that you get at it ASAP, as those spores, in spite of their size, can be seriously detrimental to your health. Shortly before Christmas, I completed the renovation of saturated shower walls in my bathroom. You’ve possibly already seen the blog posts (if not then, please click here for Part 1) but if you’re in to your YouTube and have an hour to spare(! ), you might be interested in witnessing the video footage I compiled at the same time. If you’d prefer to watch all-four videos over on YouTube then please click here to be taken directly to the playlist. 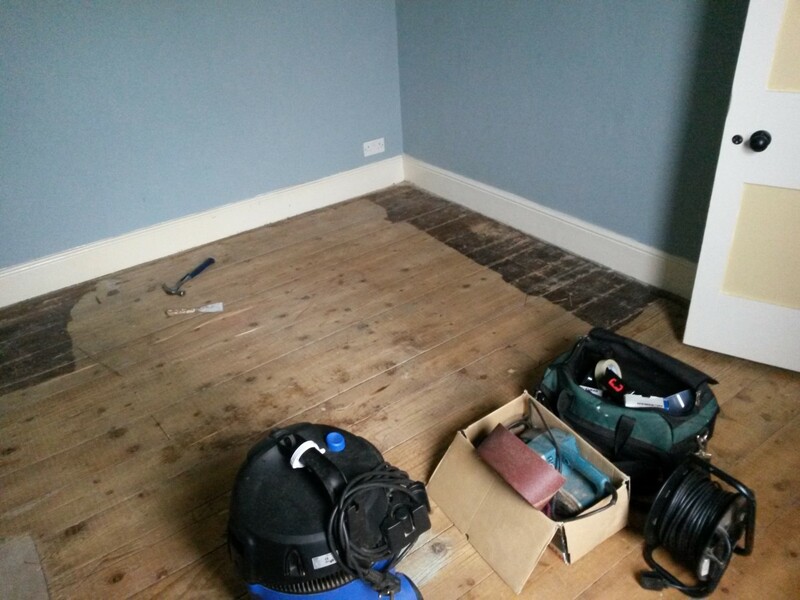 But please do not that my videos are not instructional any more than they are far from perfect… I share these merely to inspire others to tackle their own DIY issues and to show you how I approach a situation. Thank you for reading and thank you for watching. Thanks must also go to people who’ve offered support. In this respect, my greatest thanks go to James Mason of Our Build for exchanging a number of e-mails after an initial connection on Twitter. Beyond that, I found numerous videos from DIY Doctor and Ultimate Handyman to be extremely helpful and informative. These guys each have their own channels on YouTube as well. Please do take a look as their content is entirely free! This is something I’ve been working on for a couple of weeks now – that is to say, that I started it a fortnight ago and, although I’ve not been working on it solidly or with any kind of routine, the work is still very much in progress. 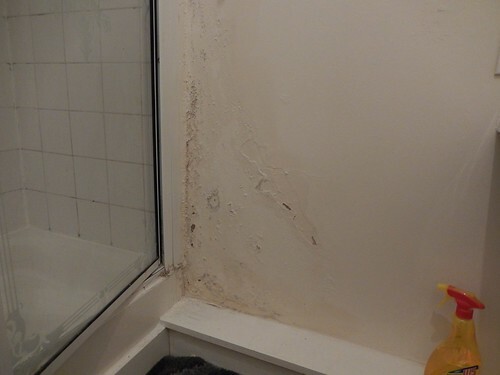 After creating an agreement with my landlord, I’ve begun to look at the cause of the damp patch that has slowly grown beside the shower in my bathroom and to move forward with the rectification of this problem. …Now that you’re eyes have returned to their sockets; I hope you’re able to see that each of the joists was rotten; far worse than I’d expected! The guy who did the boiler took a quick peak and told us as much a day earlier. I was sceptical and didn’t honestly look closely enough during my own inspection. 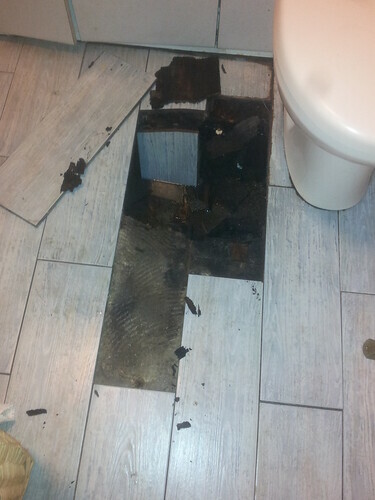 That joist one in from the external wall (with the soil pipe) disintegrated under the weight of my father’s feet as he wrestled to free the toilet from its holding. Putting My Foot in It!! I’ve post-dated the time for this post to appear live on my blog, just in case any of you fellow Brits were concerned about my sleeping patterns! Not long ago, I posted a couple of photos to Twitter, which should give you some idea of what I’m going to share with you now… These were also taken with my smart phone. Putting my foot in it – literally!! I’d just finished my shower, I was dressed and, as I gathered my things ready to leave the bathroom, I suddenly found my right foot down and amongst the foundations of our house! !